Next up is a cool game called Pocket Golf – this one reminds me of Elecrotanks’ excellent web version. Pocket Golf can be on your Smartphone just by clicking here to buy. If you’re after a free game, try Crimson Fields, a tactical war game where you must (obviously) win the war. You can download it, along with tools to design maps and campaigns here. 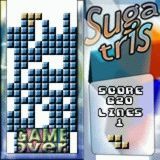 Also there’s SugarTris – a very nicely done Tetris clone which can be downloaded free (demo version) from MobileWizardry.com, where you can buy too. Pictures of each game can be found below – click to go to the related download page. I’d also just like to say how good it is to see bucket-loads of software coming out on the Smartphone. 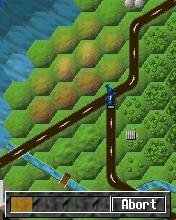 In fact, whilst trying to find the “Fight Hard” game mentioned above, I also found Mini-JetFight and Mini DogFight too – which look excellent and – should you decide to download a trial or buy it, you get the Smartphone and Desktop PC Editions all together! 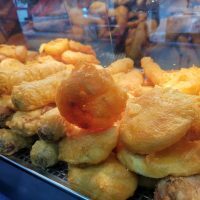 Which ain’t bad at all !